Current active MLS listings of homes for sale in Shadow Creek appear below. Call Jim at 512.913.1557 if you find a home that you want to see. Neighborhood Location: Shadow Creek is being developed on the east side of IH-35, just southeast of Buda. Take Windy Hill Rd. east from IH-35. The Shadow Creek entrance is on the north side of this road. The real estate sales data in the table gives an overview of the Shadow Creek market activity. Shadow Creek Buda real estate market data from the Austin Board of Realtors, 1/1/2011- 12/31/2018. 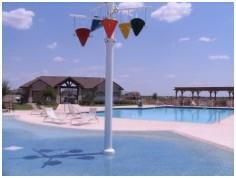 Development of the Shadow Creek subdivision began in 2005, with the first homes sales in 2006. This neighborhood was begun by Lennar Homes. Buffington Homes sold its last 2 inventory homes in early 2012. Milestone Community Builders is continuing to add homes in Shadow Creek in February 2018. It offers 5 different plans in the Meadows at Shadow Creek with base prices stretching from $175k to $210k. Living space in its 1- and 2-story models varies from 1,300-2,253 sq. ft.
New homes are also available in the Shadow Creek section. These 8 plans range in size from 1,400 to 2,650 sq. ft. Base prices go from $200k - $250k in 2/18. Upgrades are available for buyers who wish to personalize their homes. 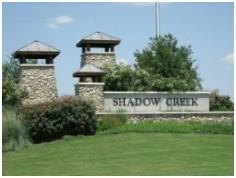 The homes built in Shadow Creek by the previous builders in Shadow Creek from 2005-2012 range in size from 988 sq. ft. to 3,421 sq. ft. They are equipped with many modern features that make them quite livable and energy efficient. Shadow Creek residents enjoy a very nice community center that features a large swimming pool, wading pool and shaded play equipment for children. Membership in the Shadow Creek HOA is required. Students living in the Shadow Creek subdivision attend public schools operated by the Hays Consolidated Independent School District. Parents should verify current schools with the Hays CISD since attendance boundaries are sometimes redrawn and new schools are built.